Create Flow. Create Balance. Create Stillness. BE A PART OF A COMMUNITY THAT BELIEVES IN THE POWER OF YOU. 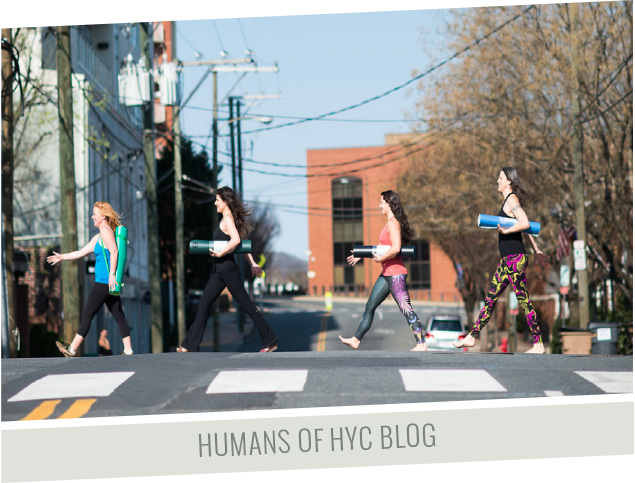 We welcome you to our vibrant yoga community located in Downtown Charlottesville—and (our new studio) in northern Albemarle County—HYC NORTH. Our cutting-edge facilities, accessible classes, and experienced instructors will make you feel welcomed and energized no matter your experience level or body type. Yoga is for everyone, and we can’t wait for you to join us. We are proud to be part of the Downtown Charlottesville community, with its Farmers Market, great dining options, cool coffee houses, shops, and live music venues. We are a locally owned business and have operated under the same leadership since 2004. We’ve won Best of Cville ten years in a row and we’re so grateful for the support of this amazing town. We love you back, Charlottesville! 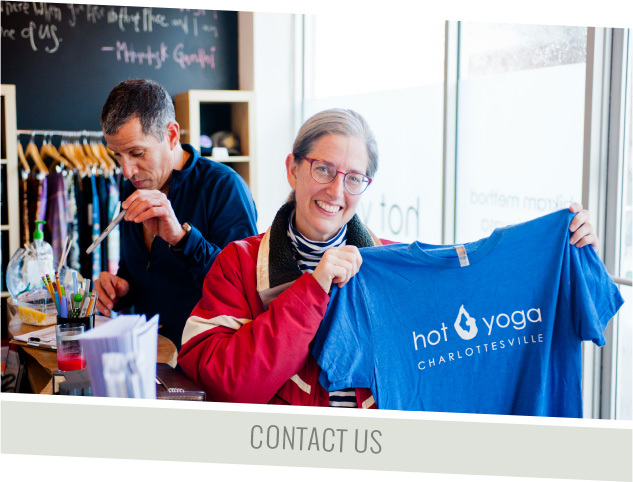 After 14 years of building and growing Hot Yoga Charlottesville in Downtown Charlottesville, we have expanded into a second location in northern Albemarle County at 1622 Timberwood Blvd., behind the CVS on 29 North in the Forest Lakes/Hollymead area. Come visit our experienced staff in our new space with mountain views! We are excited to be working with Move4Health and Bodywise Massage Therapy to bring a safe, effective and beautiful health and wellness facility to northern Albemarle. Have questions about how to prepare for your first hot yoga class? Need to know what to wear or what to bring? Intimidated by the heat or your level of flexibility? We can’t wait for you to join us for your first class, and have a prepared a page specifically for beginners to answer all of your questions.